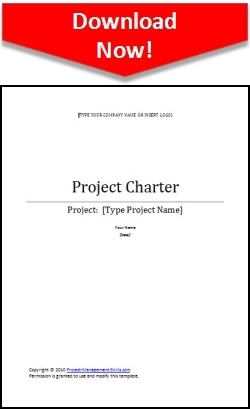 Download this Project Charter Template and use it to get your project off to a strong start. A project charter is a document that formally authorizes and defines the initial requirements of a project. It is what makes sure that your project is correctly defined and that key stakeholders are in agreement about what the project will accomplish. Project authorization is usually provided by someone external to the project. This might be the project sponsor, a Program Management Office (PMO), or a steering committee. Formal project authorization clears the way for the project to be funded and resourced. The initial requirements of the project should also be included in the project charter. This will be comprised of items like the business case, project scope, project mission and vision, measures of success, milestone schedule, and budget. Once you've completed your Project Charter, definition of your project is done and you will be ready to move forward to project planning.